No need to compromise on firmness: you can choose a different firmness rating for your side of your mattress! For the ultimate in luxury this mattress contains opulent cashmere, ideal for those feeling extravagant and prefer their luxury mattress to have a natural feel to it. Complies with BS7177 Source 5 fire retardant, ideal for use in commercial environments such as hotels and universities. Pure luxury, the ultimate indulgence. Crafted from exquisite natural materials, the Millbrook Elation 2500 Pocket Mattress offers you everything you need for a peaceful night's sleep - every night. Relax and enjoy the soothing comfort of natural cashmere, lambswool and soft cotton, for a sleep experience like no other. 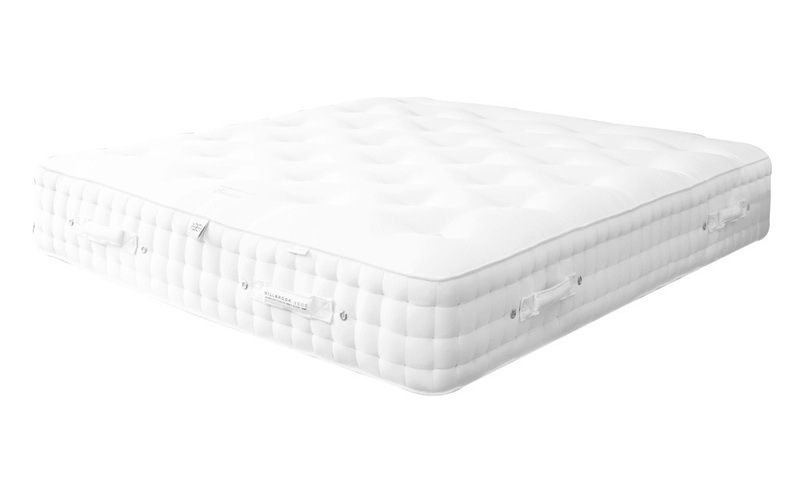 Blending all these sumptuous fillings with a remarkably high pocket spring count, the 2500 individually hand nested pocket springs work in harmony with your movements throughout the night to ensure you are correctly supported. 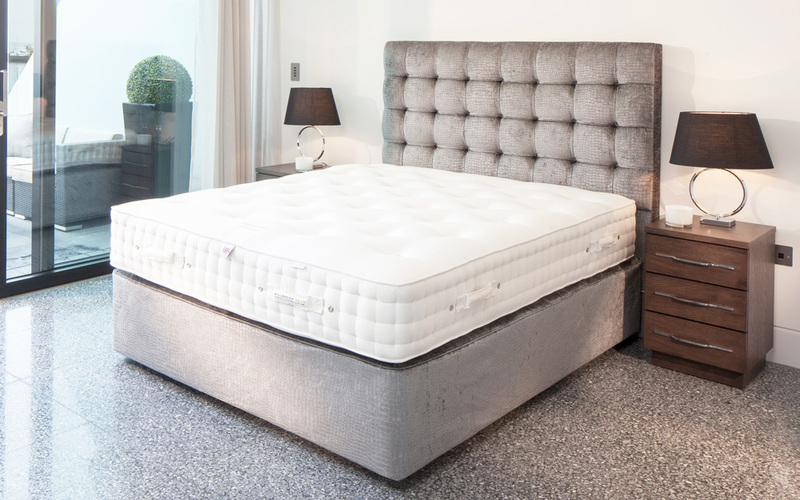 We understand that your firmness preference is completely unique to you - which is why you can customise your mattress and choose between soft, medium or firm support levels. And why compromise on the perfect firmness rating? In king size and above, if you and your partner prefer different levels of support, you can also choose between soft on one side and medium on the other, or medium and firm! Whether you get your bed all to yourself, or you sleep with a partner: maximised sleeping space is essential. Complete with a zonal edge spring system, the Elation ensures complete support and comfort right to the very edge of your mattress! Complete with three rows of traditional hand side stitching for an elegant look, the Elation is finished in a beautifully soft-touch cotton fabric cover. Expertly hand tufted, all those fillings remain secured into place for enhanced durability. Double-sided for double the comfort, the Elation comes complete with turning handles to ensure regular turning is made easy and convenient. Made in the UK and NBF approved, Millbrook is renowned for creating beautiful, high-quality beds and mattresses. Perfect for your hotel or guest house, this mattress also complies BS7177:2008 Source 5 - Medium Hazard. Delivered Within 3-4 Weeks With Free Two Man Delivery Upgrade! Please allow 3-4 weeks for your delivery to be arranged. We were surprised to discover that multi pocket sprung mattress actually feels softer when you first lay down than the memory foam type. We are also impressed with the thickness of the mattress, and the hand grips.